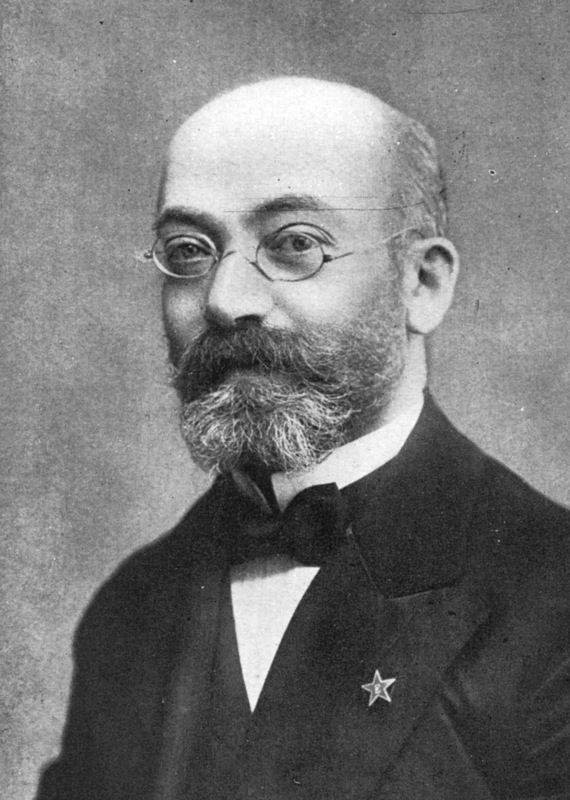 Yesterday's Person-of-Mystery was Dr. Ludwig Lazarus Zamenhof, the creator of the made up language of Esperanto. 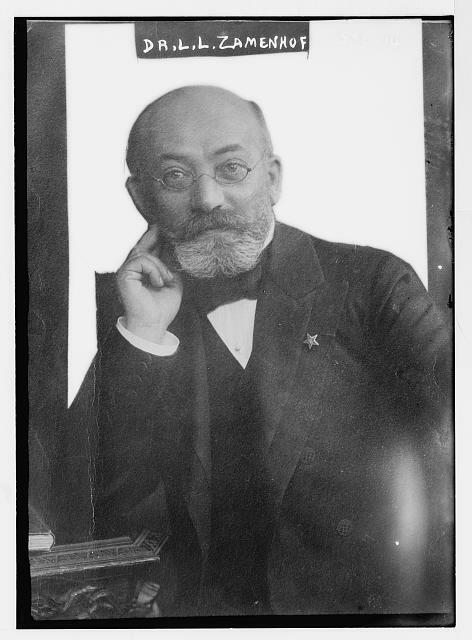 Zamenhof was born in 1859 in the town of Bialystok, Poland (at the time Imperial Russia). Growing up, Zamenhof was saddened by the ethnic prejudices of the various groups living in Bialystock. Although his family belonged to the Yiddish-speaking Jewish majority, there were also large numbers of Poles, Germans, and Russians. Zamenhof believed that the primary reason for hatred between these populations was attributable to their inability to understand each other's languages. As early as his time at secondary school, he began work on crafting an international language and by 1878 he had nearly finished what he called the Lingwe Uniwersala. 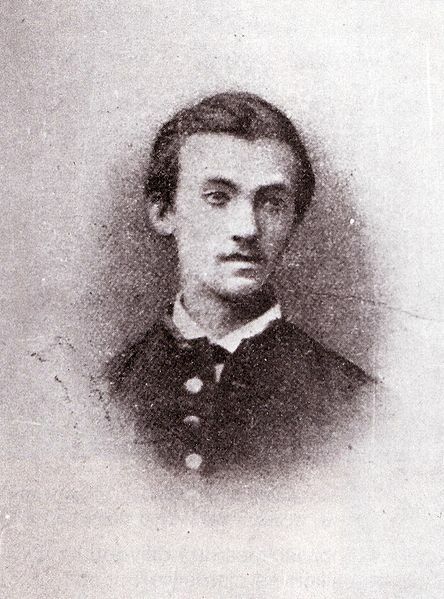 At that time, he was still too young to be recognized for his linguistic work, so he went on to study and practice ophthalmology in Polish Russia and Austria, all the while working on his international language. In 1879, Zamenhof authored the first grammar of the Yiddish language and was active in Jewish affairs. 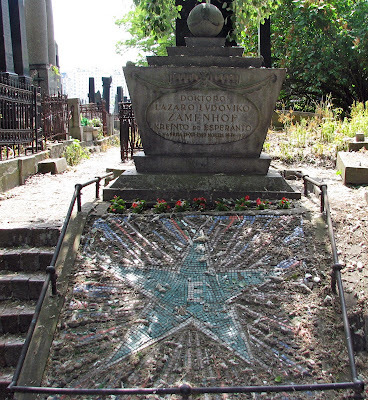 A series of pogroms in Russia motivated Zamenhof to join with Zionists in 1882, but he left the Zionists five years later declaring that all forms of nationalism produced human unhappiness. 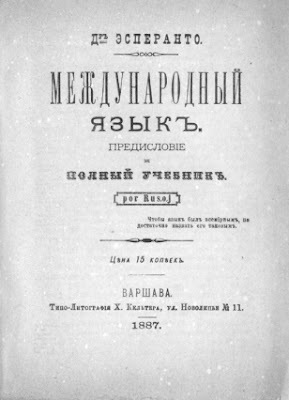 In 1887, his first international language textbook was published in Russian under the pseudonym "Doktoro Esperanto," which meant "Doctor Hopeful" in his created language. This book is now known by Esperantists (those who speak Esperanto) as the Unua Libro or the "first book." Over the next few years editions were published in English, Hebrew, German, Polish, French. 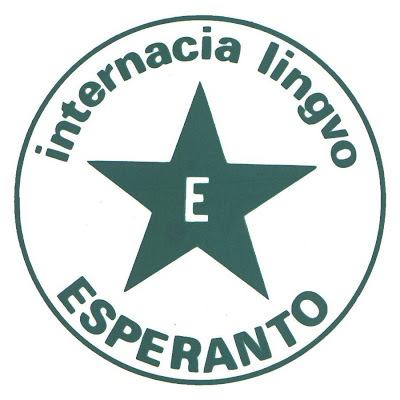 Due to the catchy pseudonym Zamenhof used, the language became known as Esperanto. Zamenhof's goal was to create an easily learned and politically neutral second language for the purpose of uniting the people of the world. Unfortunately for Esperantists, at the same time Esperanto was being advanced, English was increasingly becoming the new lingua franca and has largely fulfilled Zamenhof's goal of creating an international second language, albeit without the easily learned and politically neutral purposes envisioned by Zamenhof. Esperanto is supposedly five times easier to learn than other existing languages. 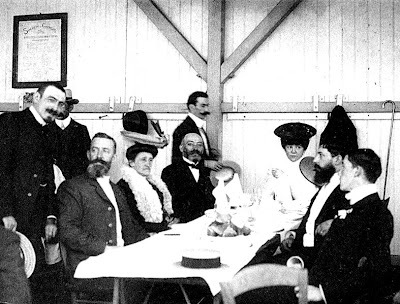 A World Congress of Esperanto was created in France in 1905 and has been held every year since excepting during the World Wars. Zamenhof in a bid to encourage its use, released his control over Esperanto and allowed the Esperanto community to dictate its development. Symbols of Esperanto were even created including a flag (a green star on a white canton imposed on a green field) and Esperantists often use the green star by itself or with with a letter "E" superimposed on the star. Dr. Zamenhof died in 1917 in Warsaw and is buried there. Unfortunately, for obvious reasons, 20th century dictators took a particular dislike for Esperanto. Hitler wrote in Mein Kampf that the spread of Esperanto was a Jewish plot to destroy national differences, so they could assume control and when the German Army took control of Warsaw, the Gestapo received specific orders to find and eliminate the Zamenhof family. Zamenhof's son Adam was found and executed and his two daughters, Sofia and Lidia, were taken to Treblinka where they perished in the Holocaust. Last week I tried to convince my Flemish and Wallonian colleagues to start talking Esperanto, in order to settle their arguments, so they can finally form a government in Belgium (they are trying to form a government for more than 225 days now). But I didn’t succeed. Interesting history. Thanks! Seems like when I was in HS the idea of on worldwide language was talked about. But, nothing's even caught hold. Too bad. Wouldn't it be great to travel anywhere & talk to anyone? I've been traveling too much. Now I'm not showing up on your Live Feed at all! We're somewhere north of Phx. My first thought, Didn't he read the story of Babylon in the Scriptures? Rob, nice try. I guess the Belgians will just have to figure it out on their own. Judi, I'm finding that the language translators on my phone are getting better and better. I used my phone recently to translate between myself and a parent who only spoke Spanish and it seemed to work just fine. Too bad I took language classes when I was younger. If I had waited, technology would have probably just solved the whole thing for me. Jules, he probably did read it as he translated the Bible into Esperanto too (at least the Old Testament). On a completely separate note, personally, I have a hard time looking at the photos of Zamenhof without thinking of Professor Calculus from the Tintin comics. Anyone else notice this resemblance? What's this - a language translator on your phone? I have never heard of such a thing. Tell us more. Is it an app on your cell? Is it something special installed on your school phones? Wow. Great idea. Ha, ha! Judi. Nothing special installed on our school phones. They just got me an overhead projector for the first time this year. I don't see that technology reaching my school until sometime after the year 5000. It's an app on my iPhone called Translator. It uses Google Translator, but allows you to speak into the phone. It worked really well with a parent. Not perfect, but I'm actually already okay with Spanish. I think the parent tried talking a little too fast, but I think it would work fine if you just wanted to translate for personal use. There are a bunch of apps that use the same technology. I just stumbled upon this one on a day it was free, so please don't think I'm trying to pitch this particular app, but I do like it. Hi Nate, Well the star on his lapel of his suit was a real give away if you knew his history..and now we do thanks! Could you have a look at this photo..I bet you know who the Senator is?? I love English. Especially American English. "...at the same time Esperanto was being advanced, English was increasingly becoming the new lingua franca...." I find that sentence hilarious. 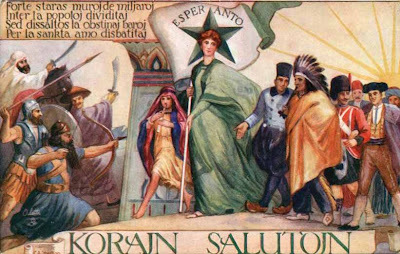 Esperanto failed because English was becoming French. LOL. My wife insists that there is no rhyme nor reason to English rules, but, after getting a minor in Linguistics, I keep trying to show her how logical it is. You just have to have two sets of pronunciation and grammar guides at your command (more if you start looking at non-germanic, non-latinate words). Mathan, I'm glad you enjoyed reading that sentence. I was smiling as I was typing it. I hoped someone would notice. Lingua Franca actually doesn't mean French... although that language has held the position to some extent at one time. History is my worst subject so I won't try to go into details. If you're interested, feel free to join my Pont language group on FaceBook. Pont is largely based on Esperanto, but is intended as a bridging language with many diverse dialects rather than a standardized auxiliary language. There are lots of hundred year old photos on this exhibit of Esperanto. There are thousands of Esperanto meeting every year. Esperanto is spreading to most African countries and to India---The president of Universal Esperanto Association--Probal Desgupta---completed studies at NYU some 30 years ago. 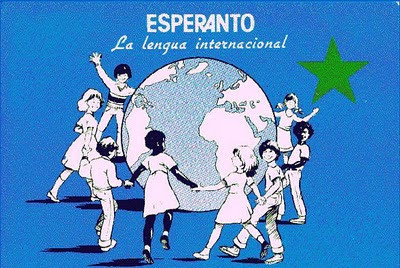 I would bet any of your reader that I can meet more people who speak Esperanto (than English), get invited to their homes, in China, Iran, Brazil, Cuba, Lithuania, Catalan and diverse other countries/regions. 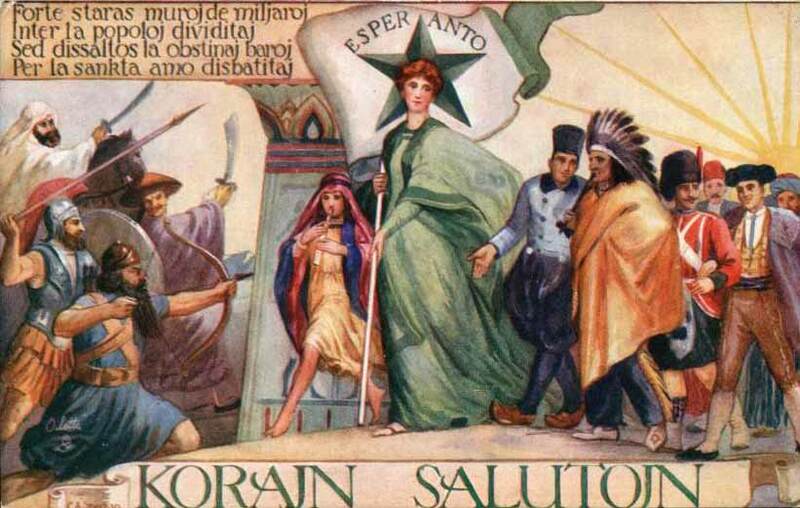 Esperanto lives today! I am glad to read that blog. I am highly inspired by that blog. People always nagging about their improper grammar. free punctuation checker will completely eliminate their grammar error.